In case you couldn’t tell, I LOVE cheese. I would say it’s my favorite food group. Not dairy. Just cheese. So here is a little appetizer recipe my friend Sohini and I came up with for all of us to enjoy! Start by letting your package of goat cheese sit out for a little while, goat cheese is easier to work with when it’s a tad soft. 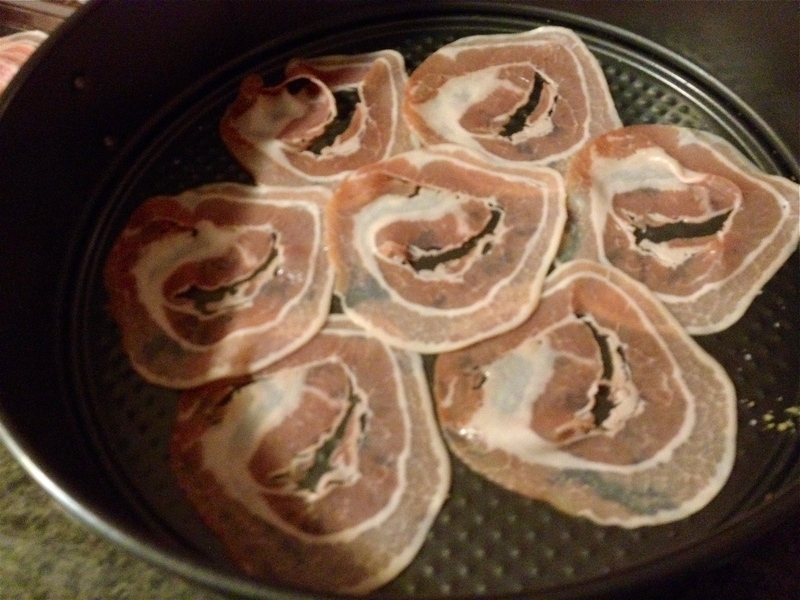 Preheat your oven to 400 degrees and pop some Pancetta up in there for 7-10 minutes until it’s crispy! 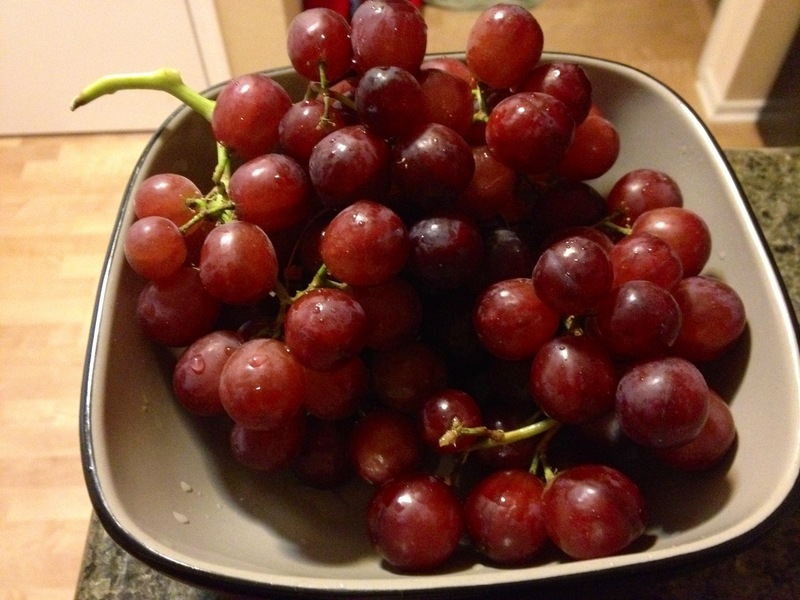 While its cooking, rinse some fresh cold red grapes and then pat them dry. Make sure they are cold though, its much more refreshing to have a crisp cold grape pop in your mouth to contrast and cut the cheese flavor. When the Pancetta is done, mash it up in a bowl with the softened goat cheese and some finely chopped walnuts. Mix together and then use a toothpick to pick up a grape and let it roll around in that cheesy spread for a minute ’til it looks like this! What a perfect way to start a meal, or if you eat enough of them, what a great meal! Gosh, isn’t food just so neat! 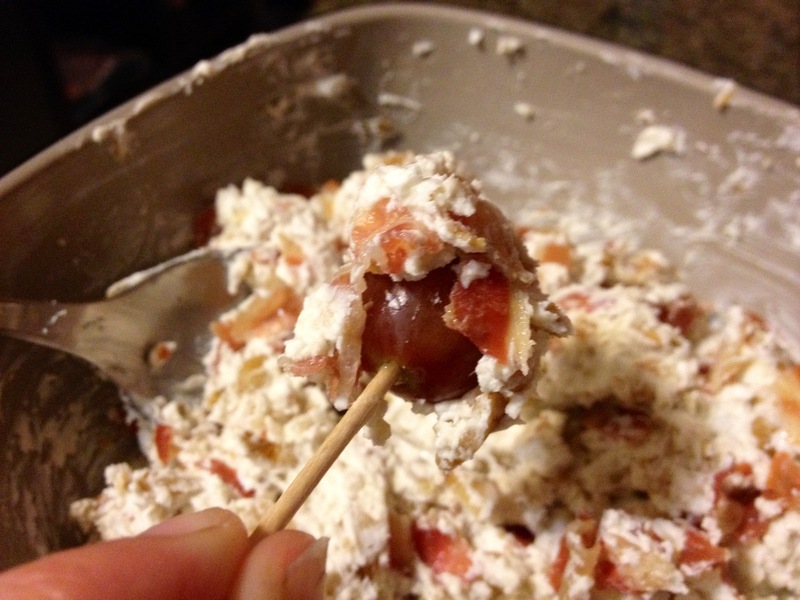 This entry was posted in Uncategorized and tagged Appetizer, cheese, easy, fruit, Fun, Goat Cheese, Grapes, healthy, meat, Nuts, Pancetta, quick, Snack, Walnuts by kristinakerley. Bookmark the permalink.